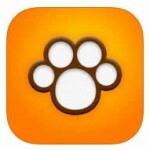 Get detailed information on popular and rare dogs breeds with the Perfect Dog Free – Ultimate Breed Guide To Dogs mobile app. The app contains photo’s along with extensive information that can assist in determining which breed is suitable for you, your family and lifestyle. Search for specific breeds and filter out the criteria that you are looking for such as, minimal to heavy dog shedding and other physical attributes that make up the characteristics of a dog.